You have a car, but where's the title? It could have been lost, destroyed, or stolen before you transferred it into your name and now you can't get on the road. Well, you aren't stuck yet. You might be able to get a Georgia Bonded Title. Short on time? Check out our . Wondering how much you'd pay for a Georgia lost title bond? What is a Georgia Bonded Title? A Georgia Bonded Title is just like a regular title and proves you own your vehicle. It allows you sell, insure, and register your car. A Georgia Bonded Title is just like a regular title but is marked "bonded". This title brand implies there is a surety bond attached to to the title. The surety bond (Georgia Lost Title Bond) protects the DMV and any previous owners of the vehicle in question. 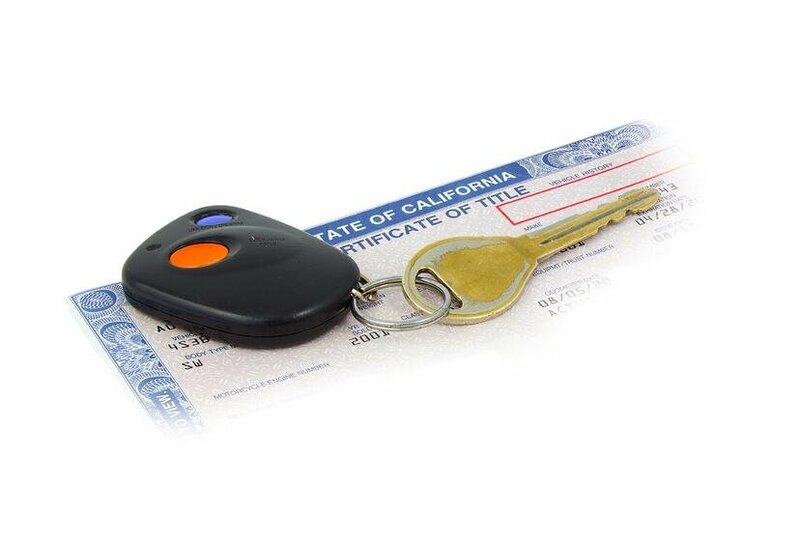 Before issuing you a title, the DMV will want some form of protection should it come about later on that you should not have been granted a title. They seek this form of protection through a surety bond. You can learn more about the surety bond and what it means to be bonded at the end of the article. The following situations are times when you might need a bonded title. You should always check with your local DMV first, as they will be able to tell if you if you qualify for a bonded title. If you had the title in your name at one point in time, you do not need to get a Bonded Title GA. You can simply get a Duplicate Title by completing a Title/Tag Application, taking it to your local DMV, and paying a $8 fee. More information on eligibility here. If you meet these requirements, contact the Department of Revenue at 855-406-5221 and confirm that you would be eligible for a bonded title. If they say yes, move on to Step #2. Next, you'll want to get your vehicle inspected by an authorized DMV employee or a law enforcement officer. This is just a precautionary measure to make sure your vehicle is not stolen. Make sure the inspector fills out a Form T-22B Certificate of Inspection. Purchase your bond from a surety bond company like us, Surety Solutions. Make sure you apply for the correct bond amount that you calculated in Step #3. The minimum bond amount Georgia will accept is $5,000. This means that if your calculated bond amount is less than $5,000, you should simply enter $5,000 as your bond amount. You will not need to pay the full bond amount to get bonded! When you choose to get your bond with us, 90% of our customers only need to pay $100! After you purchase your Georgial Lost Title Bond, the surety bond company will mail your Georgia Title Bond to you in the mail. For information on the above paperwork and how to complete, visit Georgia's website. Take all the above paperwork to your local county tag office. If everything is approved, then the DMV will issue you a Georgia Bonded Title. Your Georgia Bonded Title will look just like a regular title, except it will be marked "bonded" in the title brand section. When you get a bonded title, you are promising that you are the true owner the vehicle. The bond protects the Georgia DMV and any previous owners of the vehicle. If someone feels you should not have been granted a bonded title, they can make a claim on your bond. Yes, Georgia Bonded Titles are valid for 4 years. The "bonded" brand remains on the title for 4 years. If after 4 years no one comes forward and makes a claim against your Title Bond GA, you (or whoever owns the vehicle at the time) can go apply for the "bonded" brand to be removed from the title. If the state approves your request, you will be issued a clear title.